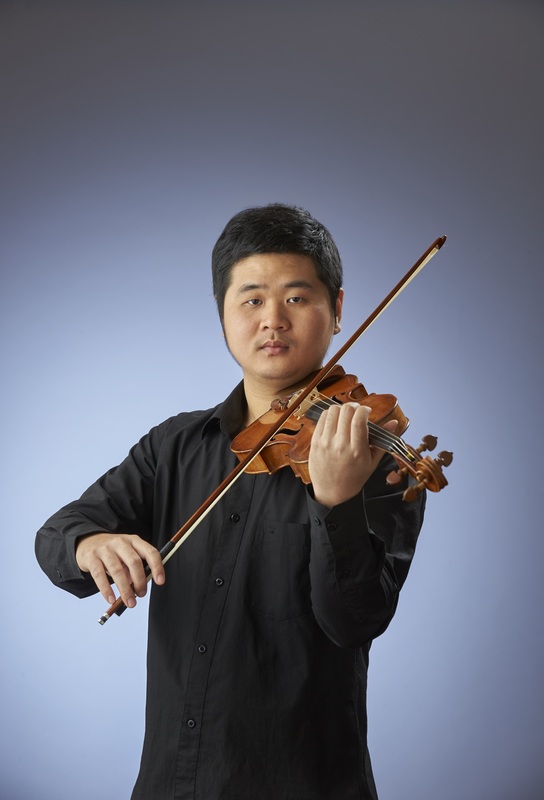 Born in China, Han began playing violin at age six. After three years of junior high school studies at the Wuhan Conservatory of Music Middle School, Han was admitted to the Central Conservatory of Music Middle School in Beijing in 2008, where he joined the China Youth Symphony Orchestra and has toured China with the orchestra. In 2015, Han received his Bachelor of Music degree and Performer’s Certificate from the Eastman School of Music. Two years later, He received his Master of Music Degree in Violin Performance at the Peabody Conservatory. While he was a student at Peabody, he was invited to substitute for a concert in the Baltimore Symphony Orchestra. His mentors include Professor Wang Zhen Shan, Oleh Krysa, Victor Danchenko and Herbert Greenberg. His chamber music groups have been mentored by the Ying Quartet, Juilliard Quartet, Chiara Quartet, Takacs Quartet, Samuel Rhodes, Norman Fischer and Michael Kannen. He has participated in masterclasses by Midori Goto and Joel Smirnoff. Han has participated the Summit Music Festival in 2016 and the Tanglewood Music Center as a violin fellow in 2017. Han loves watching movies, drawing maps and doing things very precisely.